Of course, being over-protective parents, we took over. We were determined to catch a fish for our son. Our master plan was simple—snag a bluegill, and then quickly hand the pole back to him to reel it in. The minutes went by, with our sweet lil’ son continually asking, “Can I try, peeze.” Determined to catch a fish for him, we ignored his requests sweetly by saying, “Let us help you buddy.” Even our friends tried to snag a fish, so they could pass the rod to him. Finally, with failure in our hearts and sadness in our eyes, we gave the Lightning McQueen fishing pole back to our son. Because we had exhausted our efforts and accepted the fact that we’d failed, we started visiting with the other parents. Then, we heard a little voice saying, “Someone help me, peeze.” There stood our son, as proud as could be, a big smile on his face, holding his giant fish. 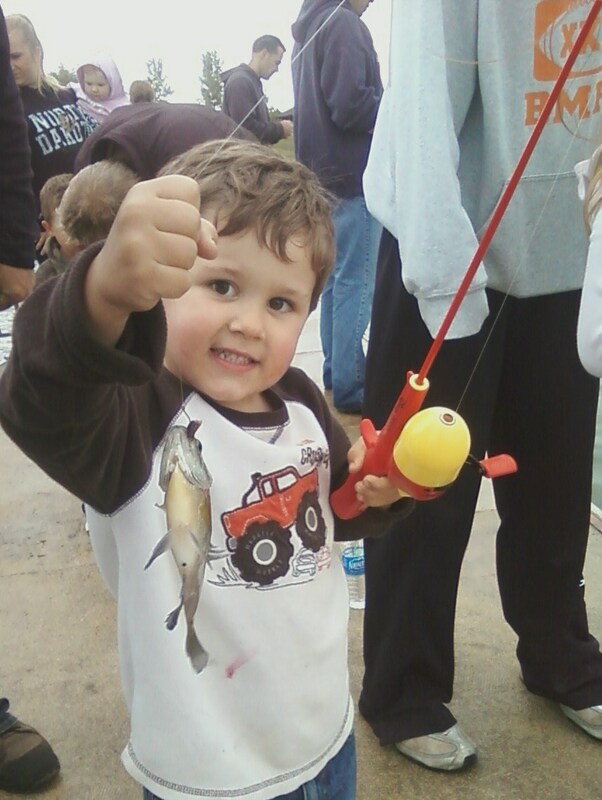 He’d snagged, reeled in and landed his very first fish, but we missed it! Our lil’ 3-year-old definitely showed up a bunch of grownups! I put some thought into this moment in my life and realized, “How often do we do something similar in our daily lives and in the work we do? How often do we underestimate what a member of our family or team can do? We delegate something, and then take it back, because we feel we could get better results if we did it ourselves. I know I have. It took my 3-year-old son and a fish to teach me this important lesson. I hope that my little “fish story” will inspire you to stop and think if you are tempted to do the same thing. What a proud lil’ man!